The Northern Nevada and Eastern California weather can be unpredictable at times and Waters Vacuum Truck Service has been around long enough to know that emergencies will arise in these areas. 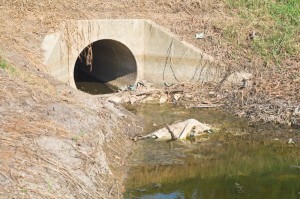 Our Storm Drain services have evolved to combat even the worst of circumstances and we have developed efficient systems that remove debris and blockage of storm drains. We offer complete cleaning of all curb, gutter and storm drain systems to allow proper flow of storm drain run-off keeping your streets clean.